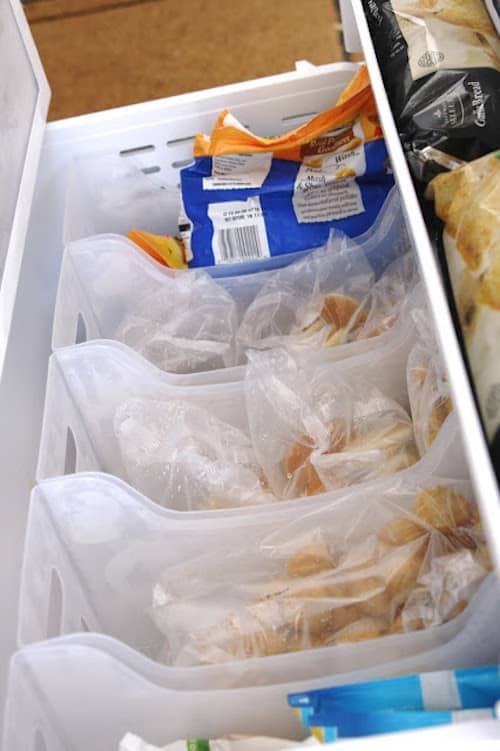 If you have the bottom pull-out style freezer, chances are you’ve lost or forgotten about dozens of things that tend to get buried in the bottom of that ginormous, deep drawer that doesn’t have any dividers. Simply Organized found a solution to this problem with inexpensive multi-purpose bins. What a fabulous idea! She separates everything by food category (meat, veggies, breakfast, etc.). 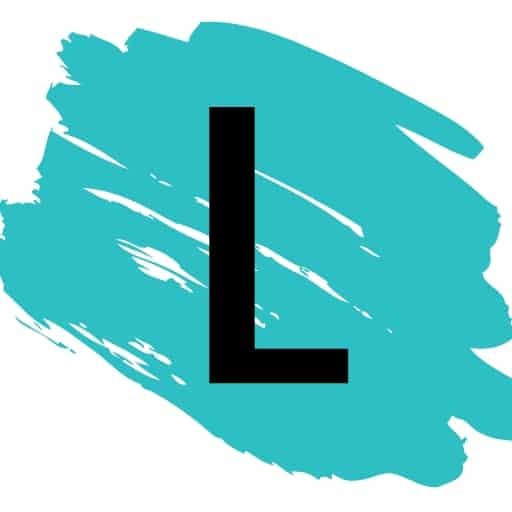 Go check it out here. For easy access to your favorite drink (even if it’s just lemon water), check out this space-saving beverage dispenser for your fridge! I love that you can fill up without even having to take it out, and it’s so skinny you won’t even miss the tiny bit of shelf space that it takes up. 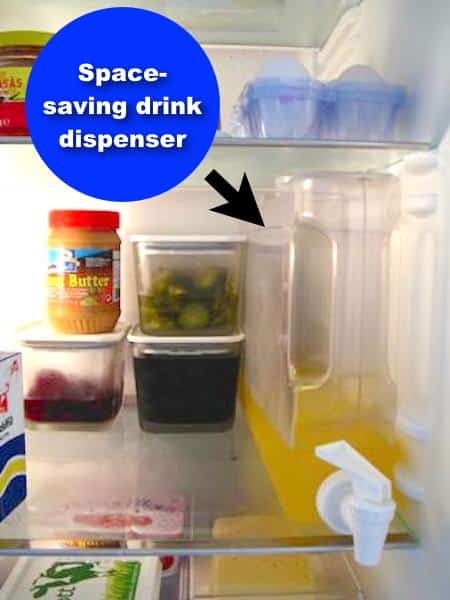 I found this idea over at Chez Larsson (she has a few other fridge tips like this, too). 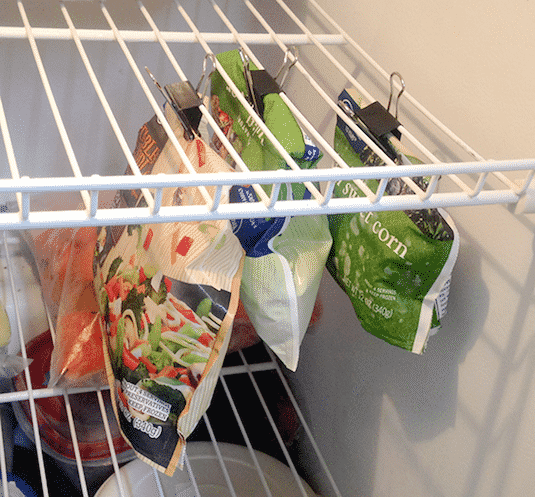 Use up all of that empty air space in your freezer with binder clips! These things have so many great uses. I like that these clips not only keep opened packages closed, but the shelves in your freezer are perfect for hanging them to create more space for other things underneath. The also makes them easier to see so that you don’t forget about them!